Want to learn about drawing caricatures? 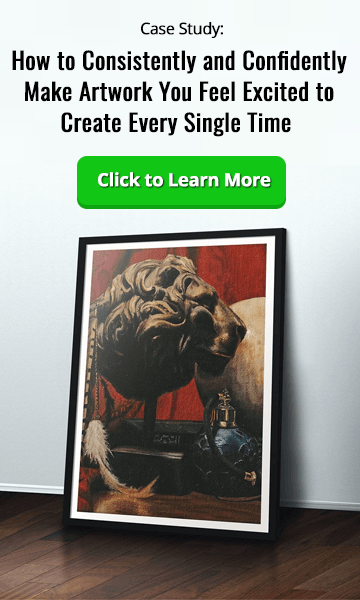 In this series, leading digital artist, Sycra Yasin, will take you through every stage of creating a caricature painting. For Sycra, a good caricature is about over-emphasizing the truth and exaggerating upon reality. He believes caricatures are about much more than just a large head and small body – in fact, he argues that every other feature of the body can be used to capture the personality of your subject successfully. 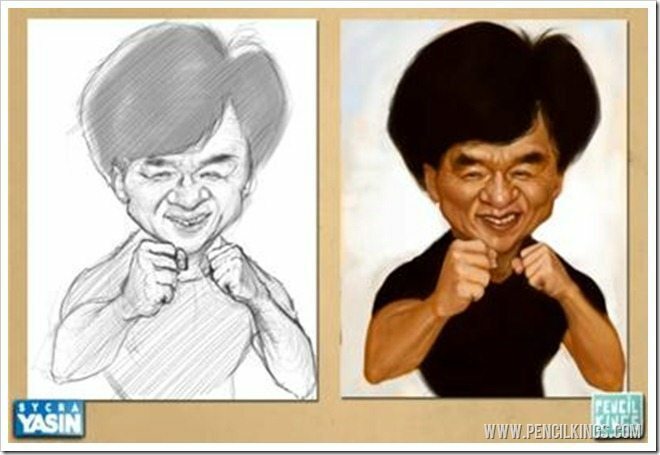 In this series, you’ll learn how to create a fully-rendered caricature painting of the famous Hollywood actor, Jackie Chan. And, once you’ve studied these techniques, you’ll be able to apply your new skills to creating caricatures of just about anyone! Sycra Yasin has a worldwide reputation for his caricature work and his YouTube page is the go-to for aspiring artists everywhere who want to learn the secrets behind his incredible portraits. Now, this leading caricaturist is going to share his knowledge with you and guide you through every stage of the creative process involved with drawing caricatures here on Pencil Kings! What Makes a Good Caricature? 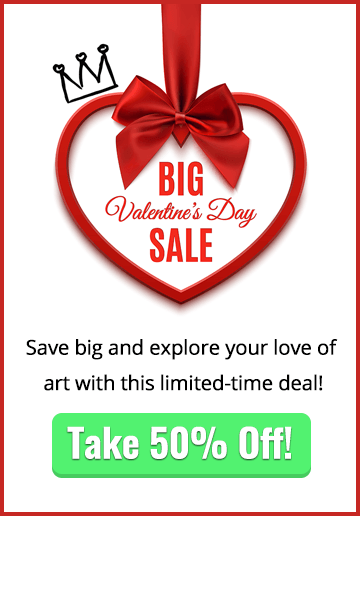 What makes a good painting and how do you get started drawing caricatures? For Sycra, caricature is the art of exaggerating features and over-emphasizing the truth. Put simply, a good caricature should contain all the elements that make a person unique, but should also push certain features that add to their individuality. It’s important to make the distinction between emphasis and distortion here – a good caricature should never be a distortion of someone’s features but instead, a magnified version of what they really look like. For example, if you had a subject with a large, round nose and you made this prominent when painting them, you would be exaggerating an existing feature. If, however, you made the nose long and pointed, you would be distorting the features and not representing them how they actually appear. In Sycra’s opinion, a good caricature should always be based upon reality. 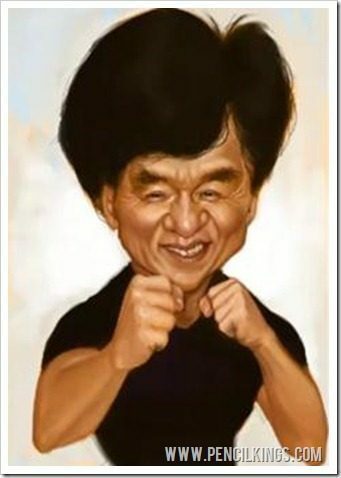 When drawing caricatures, there are two ways in which you can over-emphasize features. One way is to take the most prominent feature and make it even larger. 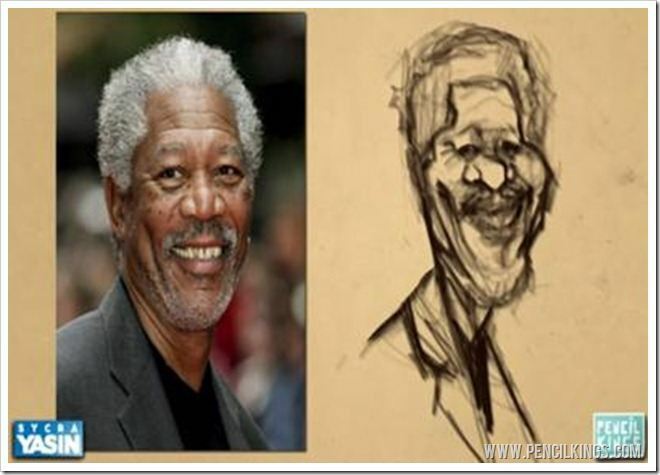 Here, in this example based on a picture of famous actor, Morgan Freeman, you can see how Sycra has taken the film star’s large nose and exaggerated this so it’s now much larger than the other features. Another way to achieve this is to make the less prominent features of your subject smaller, meaning the nose appears larger as a result. 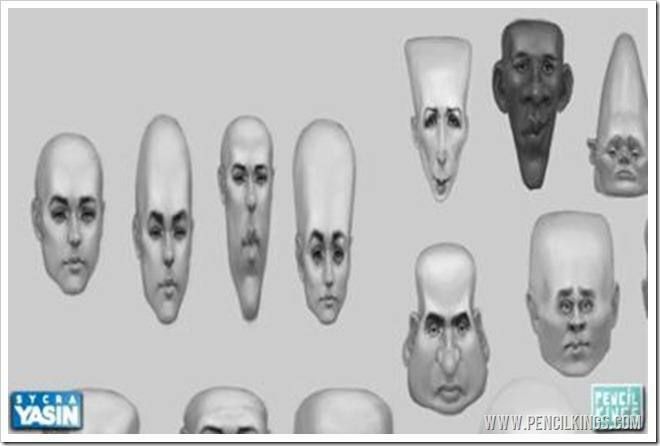 When drawing caricatures, take some time to look at the people around you – you’ll notice how they all have different basic head shapes and features. Some may have large foreheads, long chins or many other distinguishing characteristics. Noticing these and exaggerating them is a crucial stage in the caricature creative process. 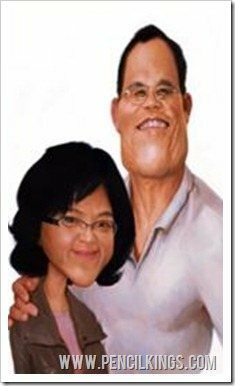 Getting your drawing right is one thing, but how do you turn this into a successful caricature painting? 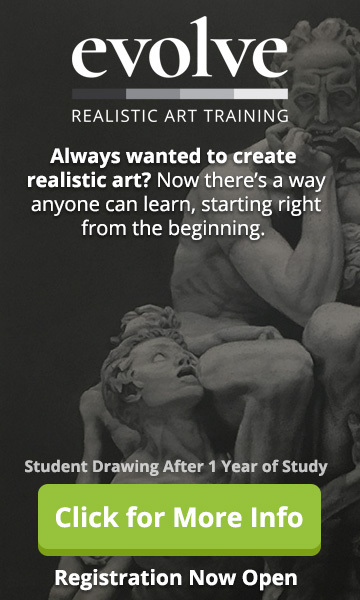 Don’t sweat it – Sycra has the answer and will guide you through every stage of creating your finished piece of artwork. Along the way, he’ll be introducing you to some neat professional Photoshop techniques that will help you achieve the results you’re looking for. In this series, Sycra will show you how to establish which features to exaggerate, how to create a series of thumbnail sketches, how to develop these into a refined pencil sketch and add grayscale color values before moving on to create a fully-rendered color caricature painting. If you’re looking to create great caricatures that capture the look and personality of your subject perfectly, you’ve come to the right place! So, pick up those pencils or graphics tablets and get ready to uncover everything there is to know about drawing caricatures – all under the watchful eye of world-renowned digital art legend Sycra Yasin!